348 Cresta Road in Edwards, CO is listed by LIV Sotheby’s International Realty for $3,240,000. The benefits of living in the Vail Valley are endless, including year-round activities, a tight-knit community feel, high-end shopping and dining, and spectacular mountain views. Attracting buyers from around the world, the Vail Valley real estate market continues to prove as healthy and active. LIV Sotheby’s International Realty’s just-released Micro Market Reports analyze the 2018 performance of several popular resorts and neighborhoods, compared to the prior year. 2018 proved to be a year of high demand all of the Vail Valley with an 11.1% increase in average price, combined with a 6.5% decrease in average days on market. In addition, sold listings also decreased by 2%, but total dollar volume sold increased by 8.8%. This increase in average price and total dollar volume sold, combined with a decrease in average days on market and sold listings means sellers benefited in 2018 as buyers were acting quick and paying more. However, buyers also benefited as the sold price to list price percentage remained flat (meaning buyers were paying what they were expecting to pay). “The Vail Valley real estate market continued to show steady growth across multiple sectors and price points throughout 2018. 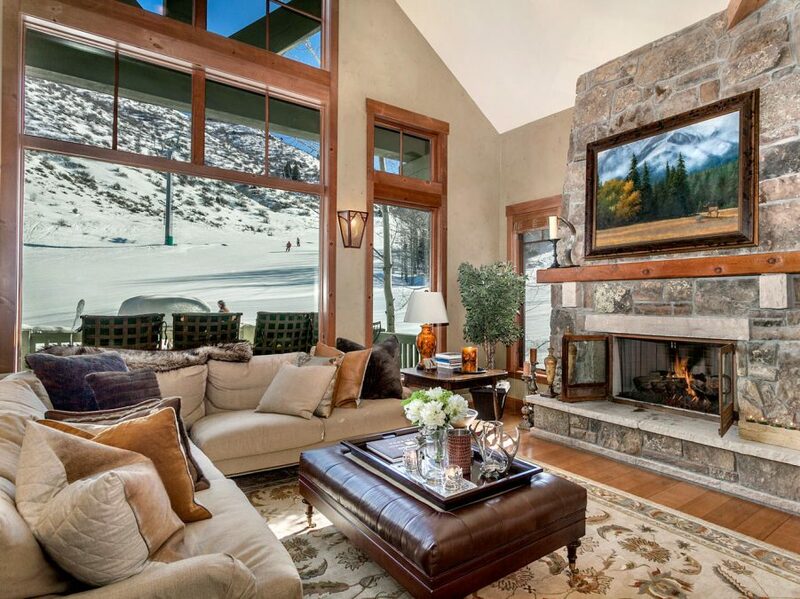 The combination of increased sales volume with shorter days on market confirms that buyers from across the world continue to have a unique attraction to our mountain lifestyle,” said Dan Fitchett Jr., vice president and managing broker of LIV SIR’s Vail Valley offices. A notable highlight for the Vail Valley is an outstanding 171.3% increase in average price for the Vail Golf Course/Spraddle Creek neighborhood, from an average price of $2,217,462 in 2017 to $6,016,275 in 2018. Beaver Creek also reported an impressive increase of 100% in single family homes sold, from 10 in 2017 to 20 in 2018. Due to the increased demand for real estate in the Vail Valley, four neighborhoods saw a dramatic decrease in average days on market of 30% or more: Bachelor Gulch (single family homes), Cordillera, Lionshead, and Wildridge/Wildwood. Bachelor Gulch revealed the highest decrease of -51.8% average days on market for single family homes, to just 134 days in 2018 – a very quick timeframe for single-family homes in the luxury market of the Vail Valley. Other highlights for the Vail Valley include impressive increases in average price: 19.8% increase for the Town of Vail, 20.7% increase for Vail Village, 24.8% increase for East Vail, and a 28% increase for Arrowhead. LIV Sotheby’s International Realty compiles quarterly and year-end reports of micro-market statistics so you can learn more about your community and to help you make effective real estate decisions. Visit ColoradoMarketReports.com to access the Micro Market Reports or call 970.476.7944 for more information.